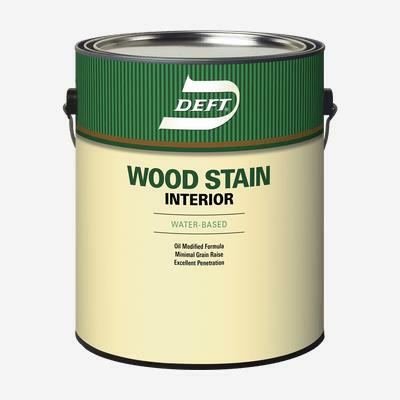 DEFT® Interior Water-Based Wood Stain is a unique oil modified formula that penetrates deeply into wood pores for a rich, even color that enhances the natural beauty of wood. This easy to use product cleans up with soap and water, and dries fast to enable stain and finishing in one day. The low odor formula is ideal for use in enclosed spaces. Excellent for use on furniture, doors, cabinets, trim, and molding.